Imagine Dragons’ Wayne Sermon dives into the band’s writing process and work ethic, their evolution over time, his favorite moments on ‘Evolve’, new music, and more! It feels like just yesterday when Imagine Dragons were a lesser-known cult favorite – that rock band from Las Vegas with the big sound. Today, they’re the ninth most-listened-to artist globally on Spotify, with over 40 million monthly listeners. Over the past six years the band has released a steady stream of exciting, dynamic, and inescapable songs – from 2012’s “It’s Time,” “Demons,” and “Radioactive,” to “I Bet My Life” and more recent releases like “Believer,” “Thunder,” and “Natural.” Their three studio albums – Night Visions (2012), Smoke + Mirrors (2015), and Evolve (2017) – paint a picture of a band that is constantly moving forward and forever building upon the past, whether or not they’re consciously aware of it. Perhaps the secret to Imagine Dragons’ continued and sustained worldwide success is their commitment to and infatuation with songwriting. The four-piece – consisting of lead vocalist Dan Reynolds, guitarist Wayne Sermon, bassist Ben McKee, and drummer Daniel Platzman – are always writing songs, whether they’re on tour, in the studio, at home, or on vacation. It’s not “work” to them: It’s fun. While one could posit that they’re forever chasing the next big wave, or that between the four of them, there’s an unnatural wealth of inspiration and creativity, the truth might very well be a lot simpler. These four individuals sincerely love what they do, and through dedication, hard work, talent, lots and lots (and lots) of practice, and a little luck, Imagine Dragons have beat the odds to succeed beyond anyone’s wildest dreams. Imagine Dragons have always had multi-dimensionality in their artistry, and I think Evolve succeeds in exhibiting the best parts of this dynamic band… Not only does it find them pushing themselves farther than they have ever gone before, but also it holds our attention throughout with well-timed ups and downs, a melting pot of instrumentation and electronic exploitations, and stellar lyricism that shines through Reynolds’ emphatic delivery. Imagine Dragons already established themselves as an anthemic, heavy-hitting rock/pop band, so I enjoy the ways in which they have developed, expanded, and transformed their music on this record to really “go beyond” and, if one may be so bold, exceed expectations. Reynolds takes vocal risks; Wayne Sermon expands his work in guitar solo territory, while vamping and riffing sweet melodies throughout. Drummer Daniel Platzman – and truly, the entire band – employ electronic manipulations particularly well across the board. Pulsing rock anthems fit neatly next to sweet ballads and hip-hop-pop scenes; and of course, there’s this very obvious sense that Imagine Dragons are truly loving every moment of it. I think more than anything, Evolve successfully expands the band’s arranging, production, and instrumentation skills whilst maintaining their delightfully catchy pop hooks. I absolutely love swaying to “Start Over” and “Yesterday” – they’re just so unlike anything I might have imagined Imagine Dragons creating 2-3 years ago. It’s as if the band threw away the formula, and truly waited for inspiration to strike. In doing so, they organically incorporated sounds, meaning, and feelings that come together in telling not just any story, but their story. Somehow, the struggle to maintain personal relationships that encompasses the apologetic song “I’ll Make It Up to You” feels lighter and freer than almost anything one can find on Smoke + Mirrors. Call it positivity, call it comfort, call it brightness, call it an “evolution”… Whatever it is, Imagine Dragons are basking in the moment, and as listeners we get to soak up the warmth, ease, and passion that radiates from their new songs. It’s been well over a year since Evolve released in June 2017. In addition to being certified double-platinum, the album has had three No. 1 Alternative radio hits and earned a combined total of over 8 billion (yes, billion with a “b”) streams – making Imagine Dragons the top streaming rock band of 2018. 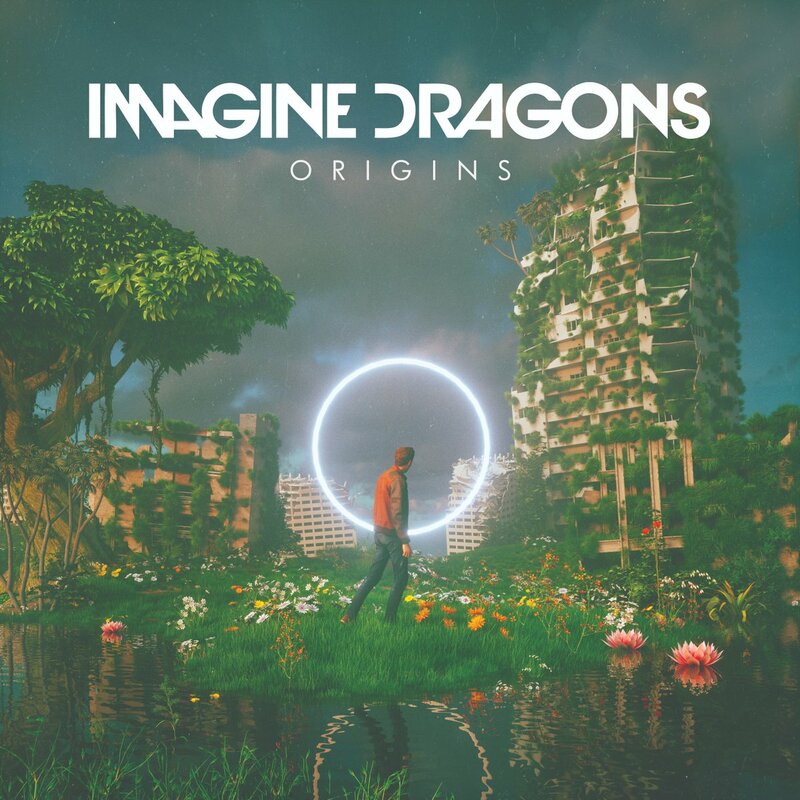 Never ones to rest on their laurels, Imagine Dragons recently announced the release of their fourth album, Origins, out November 9 (pre-order here). “Conceived as a sister album to Evolve” per a press release, this record is once again the likely result of 100+ demos shaved down to a gripping, provocative (and dynamic) ~45 minutes. Imagine Dragons are the energizer bunny equivalent to music; the little engine that could, and never ever stops. They’re always looking ahead and forever excited by the next new thing. Such spirited tenacity is itself worthy of praise – a commendable work ethic we might all look to for inspiration and encouragement. Dive deeper into Imagine Dragons’ headspace in our interview with guitarist Wayne Sermon, who spoke to Atwood Magazine about the band’s writing process, their evolution over time, his favorite moments on Evolve, new music, and more! Atwood Magazine: Hey Wayne, thank you so much for your time! I guess I kind of want to dive right into things: Evolve has been marketed as this emotional journey from darkness into light. How aware were you of this theme during the creative process? Sermon: I feel like going into being like, “Hey guys, we’re in such a better place mentally; let’s write a really positive record!” – I feel like that would just kill it. It would be awful! We don’t talk about stuff like that when we’re making it; we don’t talk about any of that deeper stuff while we’re doing it – it’s more just that we figure out what happened afterwards. So yeah, we came to find out, I guess we were all in a better headspace, and we were all feeling really positive and generally pretty happy. Lifestyle changes in the past couple of years have included such exciting occasions as marriages and babies! How fitting is it that after all the recording had finished, there was a little baby dragon coming into the world? Sermon: Dan had twins, actually! That was a pretty life-altering thing for him. It’s been a pretty wild thing, and I think it’s been pretty hard. I have two kids as well, but for him to have newborn twins and have about five weeks of not seeing them – and you know how babies tend to change quickly… I think it’s been a little rough for him, but it’s been a great run – so we’re not complaining! A few years ago, I chatted with Dan Platzman, who mentioned you guys ended up with some 150+ demos in the process of making Smoke + Mirrors. 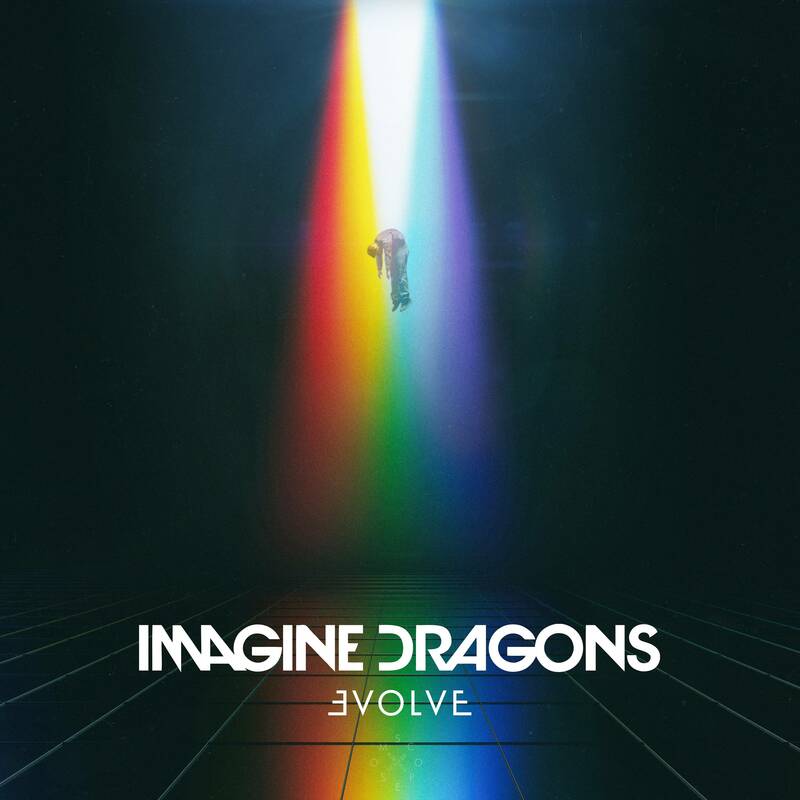 You mentioned that you guys had a lot of demos for Evolve as well; do you ever keep songs from the previous demo sessions and bring them into the next set, or are all the songs on the record fresh? Sermon: We don’t like to do that, just because – and it’s probably neurotic, and probably not even based in any real reason – but I think, like every band, our best thing is always ahead of us. That great guitar riff is the one I haven’t written yet; there’s one lyric Dan can write that will really sink into people’s hearts. There’s always the new thing – we’re always looking ahead. No, generally we just leave the old stuff where it is; if it’s not good enough to make the record, then it’s probably not good enough to look back on. But, we might be wrong! Maybe one day, we’ll release the vault of, you know, 500 really crappy songs! The relics of the relics! Evolve has a few different producers credited throughout, and I know that Imagine Dragons do a lot of your recording and producing at home. How was this different, this time around? It's cool then, considering your first album Night Visions with your third album, and looking at the similarities and differences between them, because you can really feel the differences in sound. Sermon: Yeah, yeah – we’re always… I don’t know; we don’t like to stay in the same place. It’s a very drab, boring idea to us, to crank out the same stuff and be this certain genre. I don’t know; we just don’t subscribe to that model, really. I'm curious: This is the second time you guys have really sat down to make a full album, considering the first one was a series of EPs and kind of came out of that. Was the writing process this time around any different from the one for Smoke + Mirrors? Sermon: I think it was about the same, in that we sent stuff that back and forth to each other. Really, when we get into the studio – like some bands, they get into the studio and they write a record. For us, that’s just not the way it’s ever been, and it probably never will be that way. We just like to write a lot. So we already come into the studio with a lot if ideas, so it’s really just a matter of picking and choosing, editing, and recording them for real… It’s more that, for us, than it is the other way. At the same time, everything’s a little different: If we were to do it just the same every time, it’s like I was saying earlier: It would drive us crazy. So I don’t think any two songs have been written the exact same way. I like that! NPR quoted you describing the band's development as “playing catch up with ourselves.” What do you mean when you say you’re starting to feel comfortable in your own skin? Sermon: I think it’s like when you’re in high school and you’re a freshman. You’re a very tiny fish in a very big pond, and you’re sort of having to reel from a different lifestyle and so much stuff changes – it’s like, you’re sort of in the eye of the hurricane. You have probably the least perspective of anybody on what’s going on. It was sort of like we were constantly trying to process things that were un-processable. Like meeting Paul McCartney, Jay-Z and Beyoncé, Steven Tyler and Ringo Starr all on the same day. How do you process stuff like that? How do you understand that? That’s what was nice about the year off we took: We were actually able to be like, “Okay, maybe if we just stay at home for a year and do something else with our lives besides touring, we can actually get perspective.” I think that was really helpful for this record; I think that’s what made it what it was. You lived a little more. Sermon: Yeah! Or at least, just differently. I reconnected with family and friends. Just staying put and actually being able to think. What do you tend to do during your time off and your time away from music? Sermon: None of us really take time off from writing music. That’s something that we’re constantly doing, and it’s not really because it’s like, work, or something we have to do; it’s just kind of the only thing we know now, at this point – so we’re always writing music, even if it’s at home. But honestly, I spend time with my kids… going to the beach and just chilling. Sunday dinners at the in-laws’ and just, you know, all of the boring details of the day-to-day life: I find that absolutely invigorating and amazing. Sermon: It’s like one extreme to the other for us. I remember, Platz told me he’s a big video game junkie. Do you tend to read books, are you a gamer, or do you mainly spend time with the family? Sermon: Oh yeah, I like to read books, I like to play video games… I think we’re all sort of similar in that way. Dan and I will hop online would hop online during that year off – you know, we’d play video games together… Just trying to do other things with each other, besides playing onstage and in the studio together. I think it can kind of be a nice little team-building exercise of sorts. It’s nice to just kind of do something different and turn your brain off and just cool off from that for an hour or two. I like to read a lot as well, so it’s nice! I makes me kind of miss it right now, talking about it! Something I haven’t seen too much discussion on, is what I feel to be a bit of an ‘80s influence on the record. Is that conscious? Were there certain things the band specifically wanted to try out? Sermon: I wouldn’t say it was conscious. I think synths in general are a fascinating thing for us, and it’s not something we’ve done a ton of exploring with. I would use my guitars a lot to sound like synths, and we were a little more focused on the guitar side of things. I feel like on this record… A part of evolving and doing something different was using synthesizers in a different way, and if that made it sound sort of ‘80s at certain moments, I don’t think that was us being like, “Oh, let’s make an ‘80s record!” I think certain synthesizers bring you right back to the certain decade that they were created in. The word dynamic is almost always used when describing Imagine Dragons. Do you feel that is still the case? Sermon: I certainly hope so! It’s a pretty powerful element to any music. If someone was just blaring at you, or just talking at you at the same level for two hours, you’d think they were some kind of psychopath. I think it’s really important to have high dynamic in everything in life: High highs, low lows. For music to have that as well is extremely important to us. Evolve is so much lighter, compared Smoke + Mirrors’ dense sound. Sermon: We don’t analyze stuff while we’re doing it! That’s really dangerous for us to do that. We saw what songs went together and said, “Hey, let’s do this interesting theme. Something’s definitely happening here.” But we try not to think too much about it until it’s all done. Your previous record involved a lot of experimentation in the studio. How do you do new things with fewer instruments and fewer layers? That’s one way to do it, but it’s almost more effective if you can just get away with one that sounds really good and correct, and is mixed well. So that’s one thing producers really helped with – especially Mattman & Robin, who are really genius when it comes to helping us find the sound in our heads. It’s something we want to do – it’s not like they were like, “Hey guys, you guys need to make a more record,” you know? We knew that’s what we wanted, and so we actively went after them, because we knew that’s what they did. I don’t know! That’s sort of what made the record sound the way it does, I guess. Little moments like that. For instance, like “Believer”: The drums on that song especially, those really are just a couple toms and one microphone in our studio in Vegas, just really compressed and EQ’d correctly. It’s a really good example of less being sometimes a hell of a lot more. How do you personally prepare for sessions and grow? Do you seek out new music and practice riffs, etc? Sermon: I don’t think any of us really “practice” anymore, necessarily. The three instrumentalists in the band, we all went to school for music and spent ungodly hours shedding and getting our chops together. So we’ve been down that road enough, that I don’t think any of us are interested in just the purely method of practicing scales or whatever. We definitely listen to a lot of music – we all have Spotify accounts, and we all are finding new music every day. So we try and keep up on all that stuff. I'm very much a listener of albums and not singles. Why begin Evolve with the song, “I Don't Know Why”? Sermon: … I don’t know, some things are just a feeling. It’s not like we had any real concrete reason to do it; it just kind of felt different for us. Arguably it’s one of the more different-sounding songs we’ve ever written, and we always sort of like to lead with something bold. I think “Radioactive” is probably a pretty good example of that, you know. It was definitely like the most out-there song that we had ever written. Rather than hiding it on track eleven, we like to sort of lead with that. Perhaps a little bit of boldness, in this case… I don’t know! Maybe that was why we chose “I Don’t Know Why” as well! You end with one of the most different songs you’ve ever made, “Dancing in the Dark.” Now, a lot of these songs use guitar in a much different way… “Dancing in the Dark” truly breaks the mold for Imagine Dragons. Sermon: Yeah, we’re really excited to play that one live. I don’t know; that’s one we worked with Alex Da Kid on, and he’s just got a really fresh ear for things, and we always end up doing something, a lot of times, that ends up being kind of special and different. It’s sort of a mixture of his hip-hop background and our more indie rock-leaning factor – I think that’s always an unpredictable mixture! You never know quite what you’re going to get to work. Sometimes it works; sometimes it doesn’t, but more often than not, with him it ends up being something pretty cool. After all is said and done, do you feel like the album title Evolve is appropriate? Have Imagine Dragons really changed and grown over this time? Sermon: It’s a little tricky. I mean, yes, but we don’t want people to think that we did a bunch of EPs, we did two albums, and now we’re evolved; that’s not really the point of what we’re saying. It’s more that we’ve always been evolving, and if we were to go backwards to our first EP, versus our second, third, fourth, and then the albums… You would just see that we’re always changing, and it’s really what we’ve always been doing. I think this is more a recognition of that. The great thing of it is that it’s been an evolution in a really positive headspace. So we’re all feeling really good about it! Ignoring the singles, do you have any favorite songs on the album – songs where we can really hear where the band is right now? Sermon: I would probably have to say, “I’ll Make It Up to You.” It just feels timeless to me, like it could have been written in the ‘80s, ‘90s, or at any point – it could have been written five years from now. The melodies and the lyrics… There’s just something very timeless about it that I appreciate a lot, and I’m really excited to play that one live as well! That’s one of a few songs that really stood out to me on Evolve; a song that can last a lifetime. It has a very human sentiment. Sermon: Oh, thank you! Yeah, I appreciate that. Thank you Wayne, we appreciate your time and your openness with these questions – it means a lot!